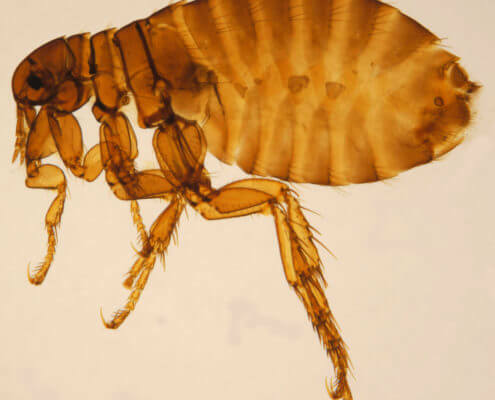 Fleas are small, wingless and about 2.5 mm long. 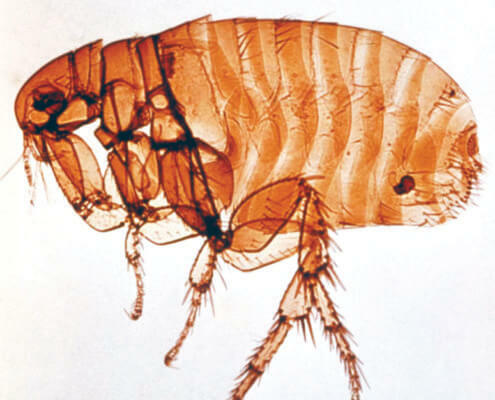 Their bodies are shiny and reddish brown in color covered with microscopic hair and are compressed to allow for easy movement through animal fur. 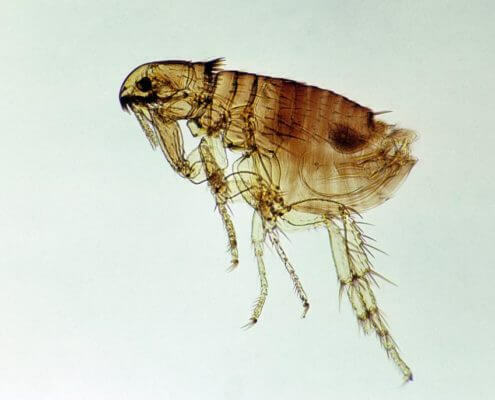 More information on what fleas look like.